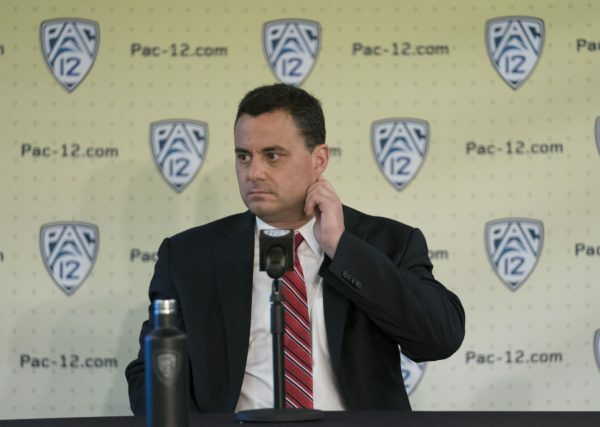 The Pac-12 has had a starring role in the extracurricular tomfoolery brought to life by the FBI this offseason. Certainly this story has no expiration date on the horizon, but the games are coming and there will be no shortage of intrigue this year in the Conference of Champions. Here are 12 Big Ifs separating each team from its best-case scenario this season. Is This Finally the Year For Arizona (USA Today Images)? Arizona: There is just nowhere else to look when sizing up the Pac-12 favorites. Once Allonzo Trier and Rawle Alkins’ returns were secure, the combination of those two plus the arrival of heralded freshman DeAndre Ayton is just too much top shelf talent, buttressed by an outstanding roster that also includes returning glue guys Dusan Ristic and Parker Jackson-Cartwright along with Ayton’s freshman co-stars Brandon Randolph, Emmanuel Akot and Alex Borcello. If this roster remains intact come March and the FBI distractions don’t do just that, Miller has his best shot at breaking through that Final Four barrier that has stonewalled him to this point in Tucson. USC: The Trojans are bringing back 98 percent of their scoring and 96 percent of their rebounding to a team that won two NCAA Tournament games last season. Bennie Boatwright, De’Anthony Melton, Chimezie Metu, Jordan McLaughlin and Alijah Stewart form the only returning starting quintet in the league. Can they improve upon a defense that finished a middling seventh in the Pac-12 in efficiency last season? Oregon: The Ducks return the least amount of points, rebounds and blocks of any team in the conference and yet they return the most important piece of their success: head coach Dana Altman. Oregon has top recruits Troy Brown and Victor Bailey, Jr., joining three transfers this season: Paul White (Georgetown), Elijah Brown (New Mexico), and MiKyle McIntosh (Illinois State). If Altman works not just well but quickly then Oregon could be ready in time for Pac-12 contention. The Pac-12 tournament in Las Vegas tips off at Noon PT today and fans are already salivating about the possible semifinals on Friday night. That said, the handful of teams in the second tier — such as Utah — are also serious threats to make some noise in Sin City. Let’s jump into the final Power Rankings of the season. 1. 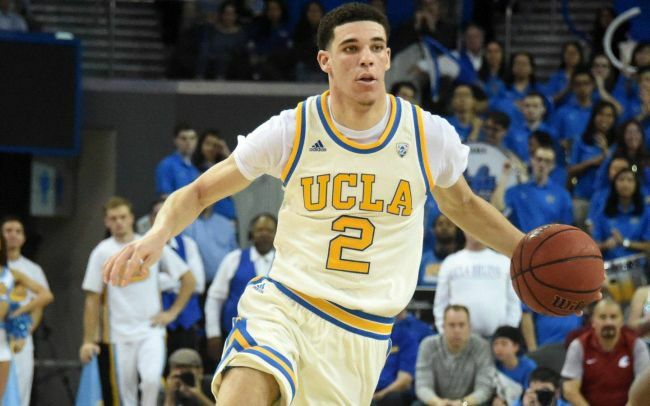 UCLA — Don’t look now, but UCLA is allowing 0.96 points per possession over its last eight games. Considering how much attention has been paid to the Bruins’ defensive issues this season, consider this an encouraging trend. If they can continue to defend at a reasonable level, Steve Alford‘s team will be ridiculously tough to beat in the NCAA Tournament. In last week’s Pac-5 we discussed the most frustrating of turnovers in an exploration of the teams that cause their coaches and fans the greatest angst. This week we’ll continue that line of inquiry, but instead of considering the victims, we’ll highlight the culprits. The unforced turnover is without a doubt the game’s most frustrating play, but an offensive rebound comes in a close second. Defending your way to a missed field goal simply to have to do it all over again is incredibly disappointing. The offensive rebound is brutal. Unless, of course, you’re on the side of the offense! In that case, you’ve refreshed your thirty or put yourself in excellent position for a putback (read: easy bucket). 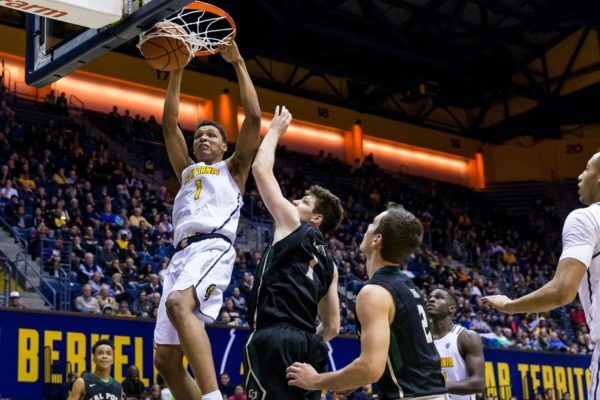 Ivan Rabb, California – 13.4% – Rabb, who was recently omitted from the late-season Wooden Award list, is a fitting first place offensive rebounder. Remember last week when we noted that the Golden Bears were coughing the ball up at wild levels? Rabb’s acquisition of extra possessions is a huge reason why they can endure that frustrating practice. Thomas Welsh, UCLA – 13.4% – Consider that UCLA leads the nation in eFG% and thus isn’t missing many shots; then consider that it’s borderline unfair that the Bruins have a guy gobbling up extra shots on what few attempts they miss. Michael Humphrey, Stanford – 11.9% – One thing that I’ve long wondered was whether Jerod Haase would follow in the footsteps of his mentor, Roy Williams. In the instance of offensive rebounds, it’s worth noting that North Carolina has been a top-25 offensive rebounding team for 13 of the last 14 seasons. So while Stanford might not resemble the Tar Heels in many meaningful ways, Humphrey is at least trying to fit the mold. Kingsley Okoroh, California – 11.8% – With Rabb already listed here, its worth noting that the Bears are collectively the 55th-best offensive rebounding team in college basketball (by rebounding rate). Dusan Ristic, Arizona – 11.2% – As teams continue to play zone against Arizona, there should be many more opportunities for Wildcats like Ristic to grab misses. Note that Ristic’s teammate, Rawle Alkins, rates as the top offensive rebounding guard in the conference. 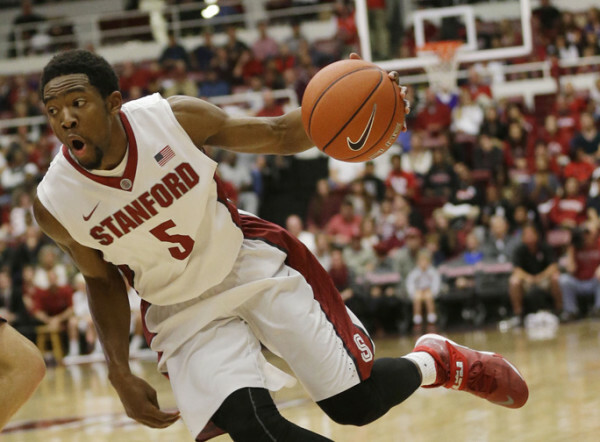 Pac-12 Burning Questions: Can Stanford Return to Glory with Jerod Haase? 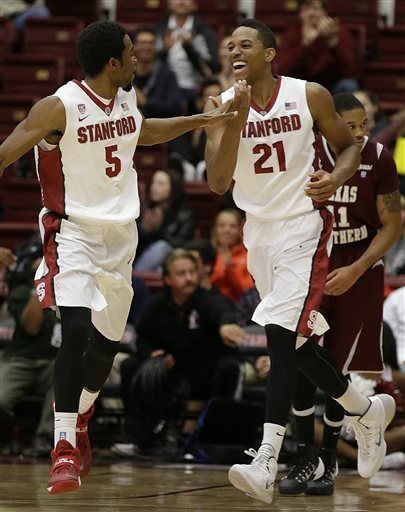 After eight seasons of slightly better than mediocre basketball, Stanford finally pulled the trigger after a 15-15 season and fired longtime coach Johnny Dawkins. Although the decision barely made a ripple on the national scene, there are many who believe that Stanford — thanks to its idyllic setting, academic reputation and commitment to athletics — is a sleeping giant in basketball and an attractive landing spot for a rising head coach. 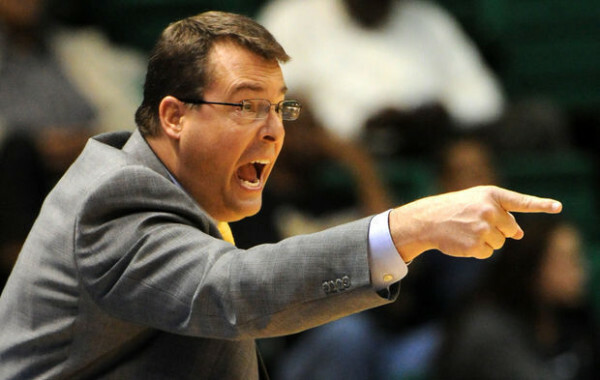 Enter Jerod Haase, a former player and coach under Roy Williams at Kansas and North Carolina and a native of Northern California. Haase’s local ties and a coaching resume that includes turning around a flagging UAB program made him a worthy candidate for the job, but that didn’t stop many Stanford fans from saying, “Who?” when he signed. Everyone agreed that it was time to move on from Dawkins, but dreams of luring Mark Few away from Gonzaga or Archie Miller away from Dayton did not come to fruition. Instead, Stanford got a coach who has just one NCAA Tournament win under his belt (although a #14 seed over a #3 seed is a very nice one). The season is back and it is time for what will be a recurring Monday feature here — Bests and Worsts. We usually prefer to spend our weekends watching basketball and save the analysis for the following week so we figured this is the best way to recap some of the good and bad of each weekend. For starters, two teams (UCLA and Stanford) played two games this weekend and everyone else played a single one. One team (Washington) won a potential resume-builder while two other teams (Arizona State and UCLA) lost games that they hope everyone will forget by early February. Let’s take a look at what went down. 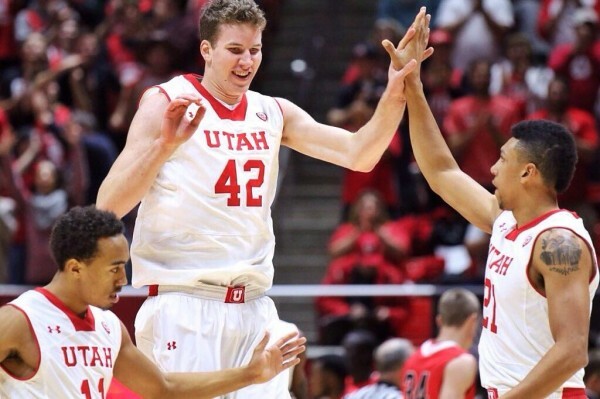 Best Early Case For Player of the Year Honors: There is little doubt at this point that Jakob Poeltl is going to be a lottery pick as soon as the end of this season, but for now, let’s make sure to celebrate his outstanding versatility before he is gone. The sophomore filled up the box score with 26 points on 10-of-13 shooting, 11 rebounds and four blocks as the Utes’ frontcourt overwhelmed intrastate foe Southern Utah. The Thunderbirds will probably be one of the least physically imposing teams Poeltl goes up against this season, but if his teammates can continue to shoot well from behind the three-point arc, it wouldn’t be surprising to see a Poeltl 20/10 become a regular occurrence in Salt Lake City. With the start of the early signing period well underway, we’re going to spend almost all of this morning’s rundown on recruiting. And to kick things off, not only did Arizona have a big night on Thursday by getting a hard-earned victory over a tough San Diego State team, but they heard whispers of some very good things for the future as well. Stanley Johnson, a top-10 recruit out of Mater Dei in the greater Los Angeles area, will announce his decision on where he will attend school next season and the rumors are that Johnson will select Arizona over competitors like USC and Kentucky. With four-star guys Craig Victor and Parker Johnson-Cartwright already committed, Sean Miller’s got the beginnings of another phenomenal class. On the other side of the things, Oregon State is struggling through a rough start to the season, but Beaver fans not only can celebrate the signing of a new recruit, but this specific recruit – junior college transfer Gary Payton II – offers up ties to the most recent glory days of the basketball program in Corvallis. While “The Mitten” doesn’t have the accolades that “The Glove” brought to OSU, he is a strong defender like his father and will provide some excitement for the Beavers next season. Meanwhile, there are three other recruits who have already verbally committed to Oregon State who may sign in the coming days. The big question that remains is whether head coach Craig Robinson will still be around to enjoy the fruits of his recruiting labor. Up in the Bay Area, both Cal and Stanford have signed highly regarded recruits. Mike Montgomery signed four-star point guard Ahmaad Rorie, who had committed to the Golden Bears almost two years ago, while Stanford inked five-star power forward Reid Travis, who just committed to the Cardinal last week. Johnny Dawkins still has a couple four-star recruits in point guard Robert Cartwright and center Michael Humphrey who have already verbally committed, but they still need to make it official. And then, of course, we’ll need to see if Dawkins is still around to welcome them into Palo Alto next season. Let’s switch from NorCal to SoCal to check out what USC and UCLA got done yesterday. Trojan head coach Andy Enfield signed three players, including big guys Malik Price-Martin and Jabari Craig along with four-star point guard Jordan McLaughlin, all of whom will be significant upgrades in terms of players who fit in with the style of play that Enfield wants. Expect these three to get big roles early for the cardinal and gold. Meanwhile, across town, Steve Alford signed Kevon Looney – a five-star power forward –and Hungarian power forward Gyorgy Goloman, who is spending 2013-14 at a prep school in Florida. Looney, in particular, is a big-time get for UCLA. Lastly, we’ve got football again tonight. And, while we’ve got sufficient focus on basketball this time of year, we’ll be sure to take a couple breaks this weekend to keep our eye on some exciting Pac-12 football. Connor and I continue our battle for prognosticating supremacy, and we’re in a tight contest. Last week we both went 4-1, with Connor eking out a fun one when Arizona State knocked off Utah, and me riding Myles Freaking Jack !!!!! (yes, I believe those exclamation points are now officially a part of his name) to a UCLA win over Arizona (although I was wishing I was watching a UCLA/Arizona basketball game the whole time). On the season, Connor’s still got a one-game lead on me, with him checking in at 58-15 and me at 57-16. Our game of the week comes tonight, when Washington and UCLA meet up at the Rose Bowl (a 6:00 PM football game at the Rose Bowl on a Friday night? Yeah, calling that thing half full at kick-off will be extraordinarily optimistic). I’m leaving the Bruins bandwagon to hop on Bishop Sankey and company, while Connor’s going with the Bruins at home. Who’s Got Next? is a weekly column by Sean Moran, the RTC recruiting guru. Once a week he will bring you an overview of what’s going on in the complex world of recruiting, from who is signing where among the seniors to discussing the recruitments of the top uncommitted players in the country. We also encourage you to check out his contributions at The Intentional Foul dedicated to recruiting coverage and analysis. You can also follow Sean at his Twitter account @Seanmohoops for up-to-date news from the high school and college hoops scene. If you have any suggestions as to areas we are missing or different things you would like to see, please let us know at rushthecourt@yahoo.com. It’s been a whirlwind two months for four-star forward small forward Trevon Bluiett. On September 3, the No. 12 ranked small forward and No. 41 overall in the class of 2014, announced his commitment to UCLA. One month later on October 3, Bluiett decided to re-open his recruitment and look for a college closer to his hometown of Indianapolis. On Saturday, Bluiett ended his recruitment for a second time and chose to play for the Xavier Musketeers. The commitment gives Xavier one of its top overall recruiting classes along with a big-time scorer. Bluiett stands at 6’5” and 185 pounds and is one of the top wing scorers in the class of 2014. This past summer, Bluiett played on the Nike EYBL AAU circuit and averaged 19.3 points per game while shooting 38.4 percent from the three-point line and 80.4 percent from the free throw line. He scored 20-plus points in 10 of his 22 games; including one where he went off for 41 points. Not only can Bluiett put the ball in the basket but he also contributes in other ways shown by his 4.4 rebounds and 4.1 assists per game. With Bluiett’s announcement, Xavier now has five commitments from the senior class. Bluiett is the headliner, but the class also includes four-star power forward Makinde London (#71 overall, #17 PF) and four-star shooting guard J.P. Macura (#89 overall, #20 SG) to go along with three-star center Sean O’Mara (#25 center) and three-star shooting guard Edmond Summer (#27 SG). The additions of Bluiett, Macura, and Summer will help tremendously with the Musketeers’ outside shooting. Last season only three Musketeers hit 10 or more three-pointers, and only one of those, junior guard Dee Davis will be around when this renowned recruiting class arrives on campus. While Steve Alford might have lost four-star recruit Trevon Bluiett just one month after his commitment in September, he offset that loss this past week with another player from the Midwest in five-star forward Kevon Looney. Just last Thursday, Looney committed to UCLA from his Hamilton (WI) High School in a decision that caught most everyone by surprise. The No. 14 ranked player in the country chose the Bruins over Tennessee, Duke, Florida, Michigan State, and Wisconsin. When Oregon faces Georgetown on November 8 in Seoul, South Korea, there will be a familiar face on the other side. The NCAA has cleared former UCLA center Josh Smith to start playing immediately for the Hoyas. In addition, Smith now has two years of eligibility remaining after being granted a waiver by the NCAA, since he only played six games last season. Head coach John Thompson made it clear Smith’s old problems in Los Angeles would be a thing of the past, saying he “has to maintain a high level of commitment on and off the court.” The Ducks and Hoyas will meet at 5:00 PM Pacific on that opening Friday in a game televised by ESPN. “We don’t view Arizona as the top, the cream, and everybody is the rest. We view ourselves as the cream and everybody else can fight for the rest of the spots.” Those are the words of junior Colorado guard Spencer Dinwiddie speaking at last week’s Pac-12 Media Day. Head coach Tad Boyle says he’s preaching for his team to ignore the preseason expectations and to be “humble and hungry”, which is easier said than done after a 20-win season last year and most everyone picking CU to make its third straight NCAA Tournament. The Buffaloes get all the chances they could every want in non-conference play to prove they are legit with a road game at Baylor, home games against Harvard, Kansas, and Georgia, and a meeting with Oklahoma State in Las Vegas. Four-star power forward Michael Humphrey (AZ) has narrowed his impressive list of offers down to two, but the Arizona Daily Star reports that there is no timetable for a decision from the Class of 2014 big man. Humphrey visited Arizona over the weekend, and Stanford head coach Johnny Dawkins made an in-home visit with him on Monday. It appears that Notre Dame, UCLA, and Vanderbilt, who had offers on the table, are now out of the running. In the “down the road” department of recruiting, Craig Robinson and Oregon State landed a verbal commitment from Class of 2016 shooting guard JaQuori McLaughlin (WA). Citing his long relationship with the coaching staff at Oregon State and their man-to-man defense, McLaughlin wanted to jump aboard early. He averaged 13 points per game in his freshman season at Peninsula High School, but hopes to raise that average to 25 this year. Whether McLaughlin sticks with his commitment (and whether Robinson is still in Corvallis when McLaughlin finally graduates high school) remains to be seen. We keep it in Corvallis to close things up, as we learned yesterday they would be holding the annual “Nike N7 game” on November 26 against SIU-Edwardsville. This is the game where Oregon State wears the turquoise jerseys to bring attention to the initiative that helps Native communities across the country get access to products that encourage participation in sports. It is nice to see the tradition continue even after Joe Burton, who grew up on the Soboba Reservation in Southern California, graduated after last season.